Welcome to my portfolio site. I teach courses in International Political Economy and Latin American Studies and direct the Master of Arts in International Studies (MAIS) degree program at JKSIS. My interests include the political, social, and environmental impacts of mining and commercial agriculture and their implications for the health and survival of rural communities in Latin America. They also extend to the efforts by these communities to combat hazardous effects and the human rights issues at stake. Most recently, these interests have taken me to the Lower Aguán Valley and Garifuna Coast in Honduras, Cajamarca in Peru, and Chiapas in Mexico. On this page, you'll find information on the yearly trip to Chiapas for students, faculty and social activists which I have helped coordinate, links to two excellent videos on the impacts of metal mining, and some discussion of the critical situation regarding human rights in Honduras. The second page relates some curious aspects of the drug war in Mexico and Honduras while the third page highlights a few of my teaching adventures. The fourth page features my work with the Denver Justice and Peace Committee (DJPC). Along with three other professors, I piloted a travel course last fall with a great group of graduate students and members of the Denver Justice and Peace Committee (DJPC). 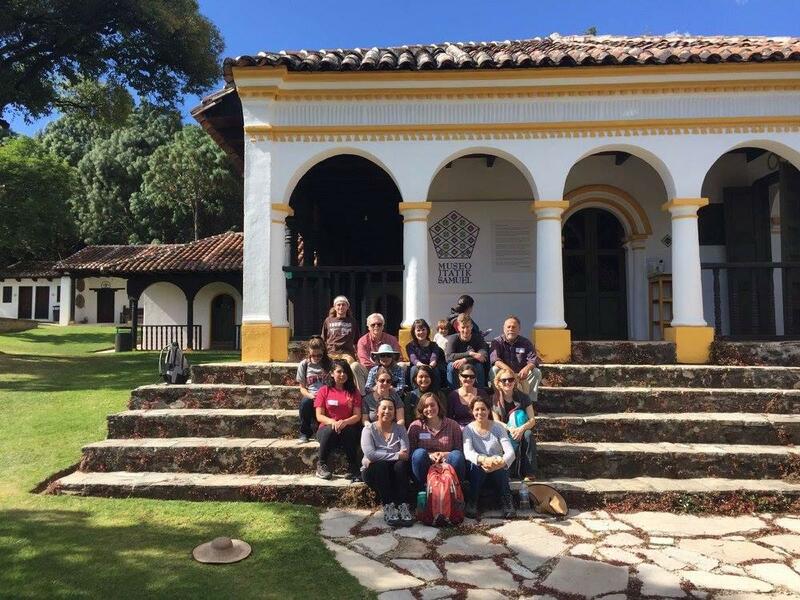 ﻿This fall, the course will take students from Korbel and the Graduate School of Social Work (GSSW) to Chiapas to learn firsthand how metal mining affects rural communities, how migration in these areas increases due to displacement, and how militarization has intensified throughout the region. Here we're seated outside the museum honoring Bishop Samuel Ruiz García who served the Diocese of San Cristóbal de las Casas from 1959 to 1999 and negotiated a peace between the Mexican government and the Zapatista rebels. Open Pit: This documentary by Gianni Converso tells the story of the ruinous effects of gold mining in Peru for the land, water, and health of the people. In Defence of Life: This film produced by the Gaia Foundation follows the struggles of four communities in different areas of the world -- South Africa, the Philippines, Romania, and Colombia -- against the ravages of mining. Bertha Oliva, Human Rights Defender in Honduras: I've had the good fortune to meet Bertha Oliva (center left), director of The Committee of Families of the Detained and Disappeared in Honduras (COFADEH), and an internationally recognized defender of human rights in that country. The organization had registered over a thousand human rights violations since the coup took place in 2009. Many of these violations have been carried out against small farmers seeking to retain their land against takeovers by commercial agricultural interests and mining companies. Below: The sun sets as our delegation prepares to leave COFADEH headquarters near Tegucigalpa.